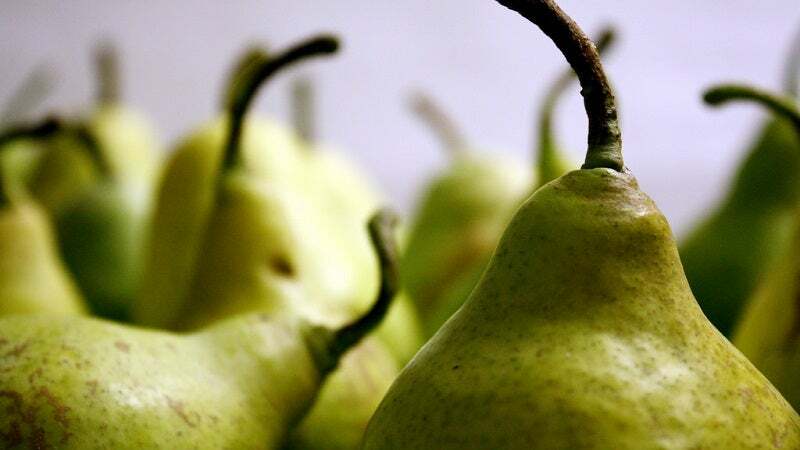 Pears, like many other fruits, keep ripening after they have been picked. Here's a simple way to test a pear and make sure it hasn't gone too far. If you're checking out pears in the store or at the market, Christine Gallary at The Kitchn suggests a quick touch is all you need to test a pear's ripeness. Push on the fruit at the stem end, and if it gives under light pressure, it's ripe and ready to eat now. If it's soft anywhere else on the fruit, the pear has ripened too much and won't be ideal for eating or baking.